Taste of India is 60-seat casual dining restaurant. Taste of India serve authentic Indian cuisine. Our recipes are all authentic Indian. We will grind our spices in the kitchen. All the proteins, sauces, and curries will be made from scratch. The menu consists of 8 appetizers, 40 entrees, 10 drinks, and 4 desserts. Each entree is individually prepared to your preference of spiciness (mild, medium, hot or very hot). 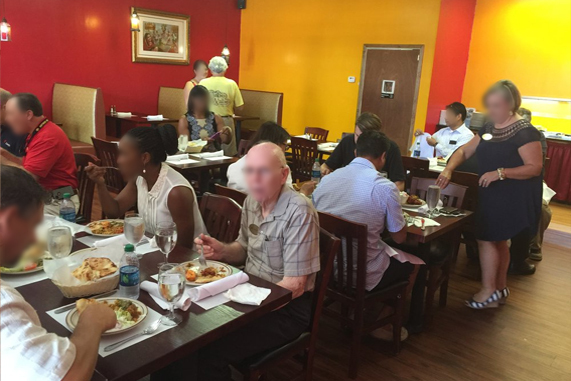 So, our food is enjoyed by kids, teens, adults, and senior citizens. We have a variety of food for everybody. Our trained server and staff assist and advise on ordering. Special care is taken for customers with allergy and dietary restrictions. Taste of India menu includes Chicken, Lamb, Seafood and Vegetarian delights, served with variety of rice and naan breads. Taste of India will serve mouthwatering appetizers, drinks and desserts. Most populars menu items includes Chicken Tikka Masala, Butter Chicken, Chicken Coconut Korma, Lamb Curry, Lamb Saag, Shahi Paneer served with basmati rice and garlic naan. Mango Lassi (yogurt drink) and Kheer (rice pudding) is a amazingly good.